We’re all looking forward to supporting Formula Student this year. It on from 10th- 13th July, all held at Silverstone. Once again, we’re going to be sponsoring the event and we’ll be there all weekend to watch the action unfold. For anyone who hasn’t heard of Formula Student before, it’s a fantastic event that supports young engineers to challenge themselves and develop their engineering skills. Teams are challenged to design and manufacture their own single-seater racecar. 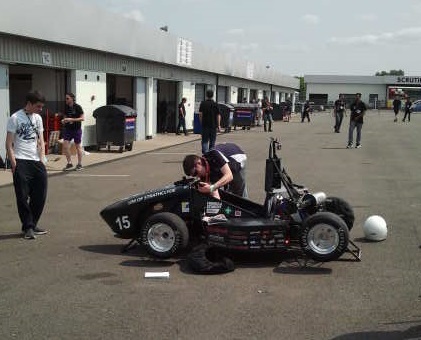 For participants in Formula Student, their technical, engineering and manufacturing skills are all tested. Plus, they have to demonstrate their skills in time management, project managements, controlling the budget and also presenting – essential skills for future employment. Come and visit Concurrent Engineering at Formula Student for your chance to win one of three Xbox Ones. We’re going to be handing them out on Friday, Saturday and Sunday during the Formula Student weekend. We’re going to be sharing stories and pictures from the weekend, so keep an eye on the blog for more updates.